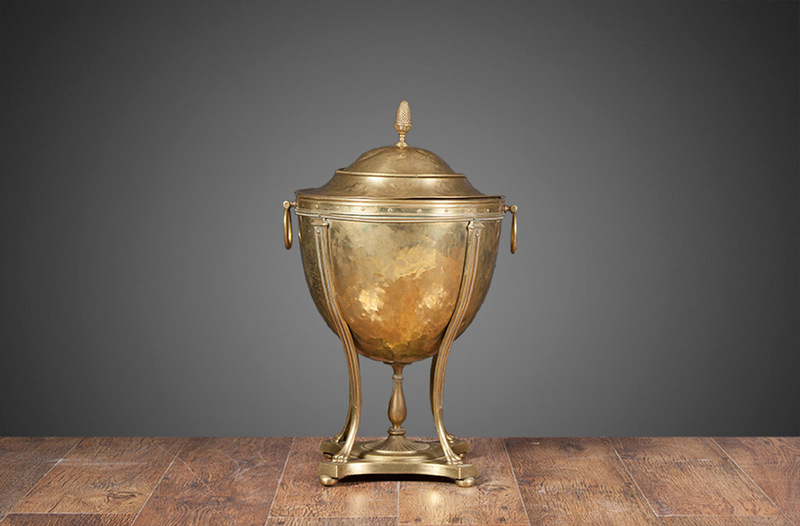 A brass lidded coal bucket in the Adam revival style. 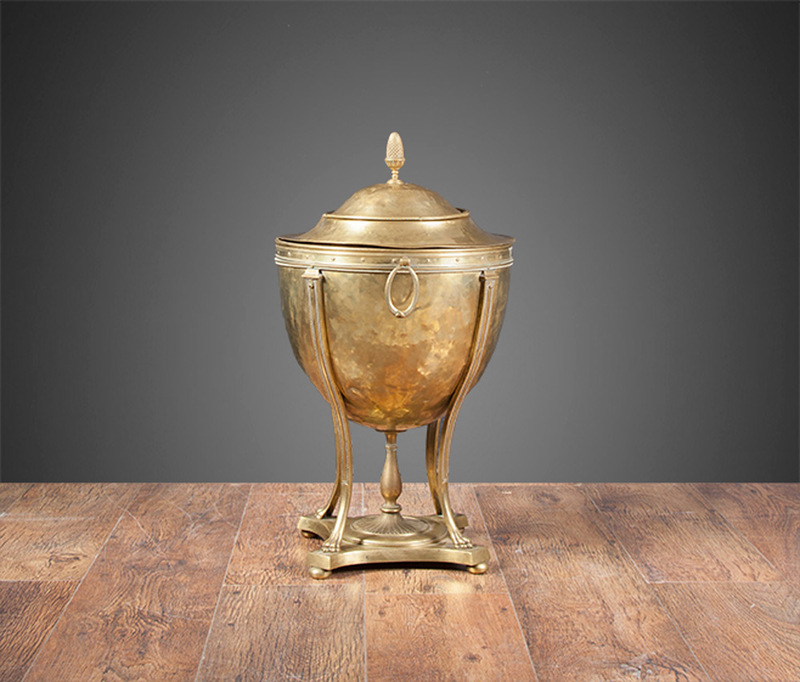 The urn shaped bucket with its removable lid is capped with a pineapple finial handle. The four curved supports terminate with paw feet on a raised plinth.